Emir Suljagić is a journalist, publicist, activist and politician. 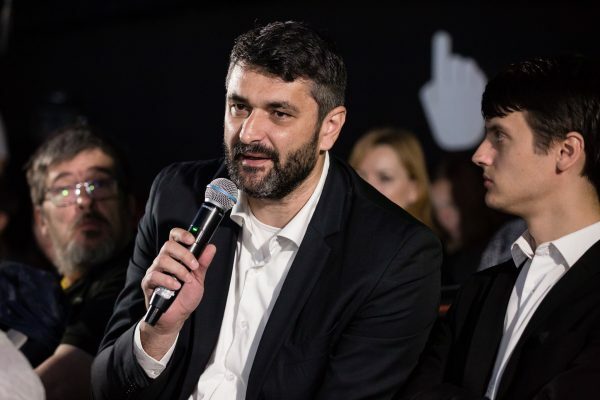 Over the past decade, he was Head of the Cabinet of the Mayor of Sarajevo, Minister of Education and Science of the Sarajevo Canton, and Deputy Minister of Defense for Policy and Planning in the Council of Ministers of Bosnia and Herzegovina. In January 2012, he resigned from the position of Minister of Education, following threats he received due to his policy towards religious education in public schools. Between 2012 and 2014 he launched a grass root activist network working on registering voters through the initiatives I Will Vote for Srebrenica and The First of March. He began his career as a journalist in the award-winning weekly Days (Dani), and worked as a correspondent for Days and the Institute for War and Peace Reporting from the International Criminal Court for former Yugoslavia between 2002 and 2004. He is author of the Postcards from the Grave, a book on the siege and fall of Srebrenica, and has published for The New York Times, Boston Globe, El Pais, Die Zeit, Liberation (Oslobođenje) and a number of other publications. He worked as Chief of Communications in the victorious campaign of the Socialdemocratic Party BH in 2010, and was the third candidate for membership in the Presidency on behalf of the Democratic Front, with 115,000 votes in the 2014 elections. His areas of expertise include transitional justice, political party development, election campaign management, new technologies and the media, public advocacy and defense. He obtained a Master’s degree at the Center for interdisciplinary post-graduate studies of the University of Bologna and the University in Sarajevo, and a PhD at the Institute for Peace Research and Security Policy (Institut fur Friedensfrschung und Sicherheitspolitik) at the University of Hamburg. He is a lecturer on social and political science at the International University of Sarajevo. 11:35 Disinformation as a Trojan horse of foreign hostile influence?